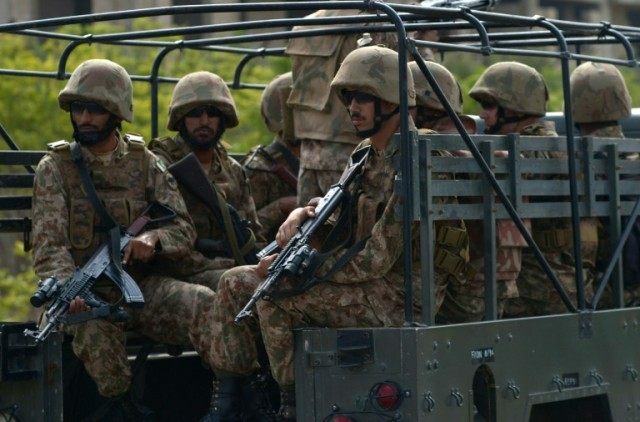 Islamabad (AFP) – Pakistan has sent 150 soldiers to help rescue 24 police held hostage by a gang of heavily armed criminals after a bungled raid on their island stronghold, police said Friday. Officials said six policemen have already been killed in the operation launched Thursday against members of the so-called “Choto gang” on an island in the Indus river in southern Punjab province. Up to 1,500 officers were involved in the failed raid against some 150 men armed with rocket launchers and machine guns, authorities said. “Our cops attempted to reach their base by two boats in the river, and the criminals came right in front of them and there was heavy exchange of fire,” a police official in the operation control room told AFP. The criminals were armed with “rocket launchers, machine guns and anti-aircraft guns”, he said. So far six policemen have been killed with 24 taken hostage, he said. “We have called the army for help and are evolving a new strategy,” district police chief Ghulam Mubashir Maken told AFP, adding that helicopters could be used to launch a counter-attack. Some 150 army troops had arrived in Rajanpur district and more were on the way, he said. Officials announced last week that the military in coordination with law enforcement agencies had launched a new crackdown in southern Punjab in the wake of an Easter attack on a park in Lahore that killed more than 70 people. The operation against the gang began on April 1, officials said, with police confining the gang members to a roughly 10 kilometre area.